Are you frustrated by the lack of engagement with your Facebook posts? In order to gain more engagement on your Facebook posts you need to know what are the elements that make a post ‘Perfect‘, which helps your Facebook post to stand out from the competitors. Digital intelligence firm TrackMaven, has made an infographics which tells some proven tips that make your Facebook post perfect. The results are based on an analysis conducted over 1.5 Million posts from nearly 6,000 brand Pages, according to TrackMaven. The maximum character count for a Facebook post is over 60,000 – so don’t let the cat get your tongue. Posts with 80+ words garner 2X as much engagement. Posts with images see 37% more engagement than those with just text..so get visual! Less than 18% of posts are published on weekends, but weekend content sees the most engagement. Posts published on Sundays, for example, get 25% more Likes, Shares, and Comments than Wednesday posts. 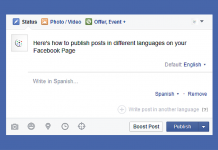 Consider boosting a post for greater reach and engagement. 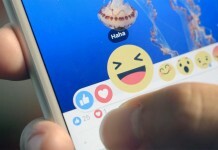 Likes are the most common social interaction on Facebook, accounting for 87% of all Facebook interactions, compared to 5% Comments and 8% Shares. Thursday is the most popular day to post (16.82% of posts), while lunch time (12-1pm EST) is the most popular time (8.55%). Try posting when there’s less competition in the NewsFeed. Be positive! posts with exclamation points see 2.7X more interactions on average. Posts that ask questions garner 23% more engagement on average. Try getting inquisitive to start a dialogue with your audience. 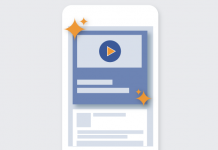 Next articleDoes Facebook Advertisements Really bring Conversions?